Figure 1: Oculus Rift—with headphones. 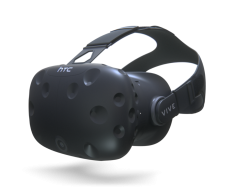 Figure 2: HTC Vive—without headphones. Beyond owning a VR computer, Figure 3 shows the components that come with a Vive that you’ll use to setup your VR room. First, let’s look at the components you’ll be wearing or carrying. 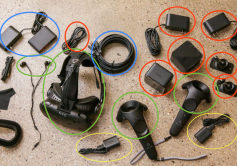 These are circled in green and are the items one typically thinks about: headset, ear-buds, and two hand controllers. Two rechargers (yellow) are provided for the controllers. Figure 3: HTC Vive comes with everything you need. HTC provides a small box (blue), which connects to your computer (HDMI or Mini-DisplayPort and USB) into which you plug the 16-foot cable from the headset (power, USB, and HDMI). The HTC box has its own power-supply. 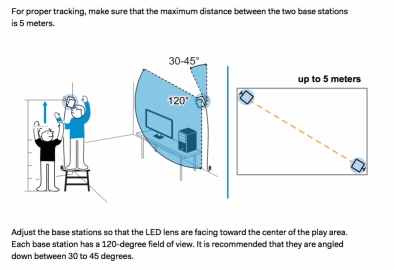 Figure 4: HTC Vive Lighthouse installation. Adding to the setup complexity—the realization that walking around in an alternate reality is made both difficult and dangerous by the cable snake that leads back to your computer. The solution, demonstrated at CES, is a two-way wireless system. This link leads to a brief movie demonstrating TPCast's ~$250 wireless adapter for the Vive. If you’ve been adding-up costs, even without a computer, the investment is almost $1000. At this cost, it seems relevant to ask, “What can you do with it?” Here’s a link to productions known to be coming in 2017. Of these productions, Fallout 4 and Essence look interesting. 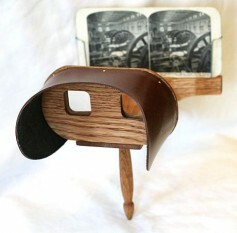 Figure 5 shows a stereoscope invented by Oliver Wendell Holmes in 1850. How did CES 2017 treat this type of VR I call “stereoscope VR?” Quite well. Stereoscope VR has many implementations and is already in wide use. Figure 5: Justice Oliver Wendell Holmes 1850 Stereoscope. All VR cameras capture a 360-degree horizontal view, which means you can see everything around you. Most VR cameras also capture a 180-degree view from below to above the camera. The result is a spherical capture. The obvious way to capture a spherical image is by using six cameras. The cameras could be mounted on each face of a cube with each lens providing a 90-degree angle of view both horizontally and vertically. The issue is how can such a camera be held or mounted? One sensible solution would be to eliminate the bottom camera. Were each side camera is able to capture a 120-degree image, when the four side images were stitched together a 60-degree “hole” would exist on the bottom image that would nicely prevent a tripod from appearing in the spherical capture. 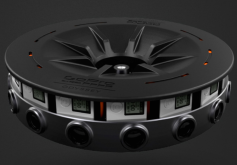 Figure 6: The GoPro Omni. The $3,595 Orah 4i is a slightly less expensive solution that uses four cameras to obtain a spherical 360-degree capture. (Figure 7.) 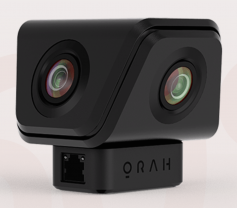 Like the Omni, the Orah does not capture a 3D image. However, unlike the Omni, the Orah is able to output a live stream; for example from a drone. Figure 7: Orah 4i lens camera. The Samsung Gear 360 camera costs only $320. The Gear 360 has front and back cameras each of which captures a 180-degree view both horizontally and vertically. (Figure 8). This link will take you to a video showing how to work with the Gear 360. And, here are links to videos shot with the Gear 360: (video 1) - (video 2). Figure 8: Samsung Gear 360. My hunch is that without 3D to create involvement, 360-degree VR will not have a long life. It also faces an obstacle we will look at later. Here is a link to 3D movies. Click on a 3D experience such as Old Jerusalem. Click the Eye to blue, set to 1080 or 1440, and expand to fullscreen. Lower your expectations and press Play. Figure 9: Vuze from HumanEye Technologies. 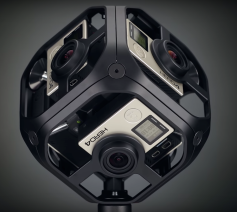 At the opposite cost extreme, GoPro has announced the Odyssey with 16 cameras that captures 8K 30fps 3D video. (Figure 10). I tend not to think of the recorded information from a 360-degree camera as an image. Instead, I think of it as a database of RGB values. 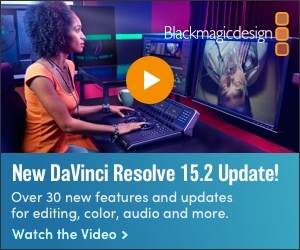 When a particular “view” is required, sophisticated software employs the view’s coordinates to gather a set of RGB data and then generate pixels that represent the desired view. The coordinates that define the current view can come from dragging a mouse left-to-right and as up-and-down on a computer display. When a smartphone is your viewing device, sensors built into the phone send data to the software. Data include the phone’s up/down tilt and the direction and acceleration of head turns. To prevent nausea, it’s necessary your view into a scene precisely moves as your head moves in 3D space. There are three fundamental ways for you to view a 360-degree capture. A TV station in India enables the newsreader to control the view presented while presenting her story. This approach enables TV viewers to see a far more comprehensive picture of certain stories. The New York Times has a site with many VR stories. By downloading a VR app to your smartphone, you can browse their library and select an experience to view. After selecting an experience from the Times website, quickly place your smartphone into your headset. Sounds simple, but I’ve found it’s not. First, the insertion can cause the power-button or audio-level buttons to be pressed. Second, smartphone’s are controlled by touching their screen—yet your phone’s screen is now deep inside the headset. When the few minute experience is over, to even repeat the experience, you’ll have to remove the phone to gain access to the screen. Way too frustrating! The latest Samsung Gear 360 features a control-pad on its side. This is the solution to headset frustration. (Figure 11). Unfortunately, it only works with Samsung phones. 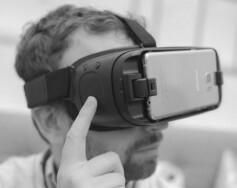 Figure 11: Samsung Gear VR headset for Samsung Smartphones. Figure 12: Indiegogo Insta360 Air. Creating a sophisticated VR experience requires specialized software. GoPro, for example, provides three applications with their Omni package: GoPro Omni Importer, Autopano Video Pro, and Autopano Giga software. All run under Windows and OS X. Figure 13 is a screenshot of the Omni importer. 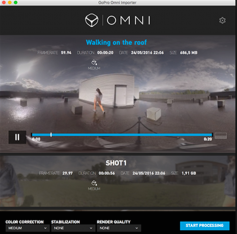 Figure 13: GoPro Omni Importer. Here is a link to an Autopano Video Pro demonstration. And, here is a link to a GoPro marketing video. The VR experience, at least currently, is an isolated or isolation creating experience. This is the exact opposite of the experiences created by almost all other technology exhibited at CES. Most current technology empowers instant social communication. Even 3D TV could be enjoyed by a group of viewers. Does this difference suggest VR will attract a very different buyer? Or, will VR complement the time folks spend on social media? How many hours will people spend walking around within a small confined area wearing a headset? How, when one is sitting on a couch, does one look backwards? Will VR equipment be bought only to be abandoned after playing only a few games? Isolation and discomfort could lead to VR joining 3D TV in the junkyard of failed technology. And, unless VR grows rapidly, there will be less financial incentives to create “social VR media” such as Star Trek: Bridge Crew and perhaps more importantly, create narrative productions, e.g., Wilson’s Heart. My guess is we won’t have answers to these questions until CES 2018, and perhaps not until CES 2019.